Here are some of the poker apps that I use on a daily basis. I literally couldn’t keep up with the game like I do without them. And the best pat is: most of them are entirely free as well! Poker Income (for iOS and Android): I use this app for tracking both my tournament and cash game sessions. I particularly like that it offers a touch ID verification so my information is kept safe. Filtering results is also extremely easy. You can sort sessions by date, size, location and view independent reports for cash games and tournaments. Finally, you can add in completed sessions at a later time, and even keep notes during the game, which I use to review afterwards. Bravo Poker: This app is a must for anyone who wants to monitor the cash game scene in their area. Bravo Poker has made me thousands of dollars. Just the other day I caught wind of a game I may not have if I had to call in and ask what was running. I scooped in and printed. Whenever I am somewhere next to a casino I am constantly monitoring games, and with a few clicks I can see all the action (including waiting lists) for every game type. Major casinos like Aria, Bellagio, Commerce and Wynn all update their game boards in real time through Bravo. You can also favorite your local casinos for easy viewings. Why miss another game? Notes: Yup. A simple notepad. I use this free app that comes with my iPhone perhaps more than any other. Before, during and after every session I’m making notes about my game. About my opponents. About reads I have. Ideas for blogs or videos. About hands to review or run equities for afterwards. It serves as my ultimate tool to clear my head, get ideas out and never forget another valuable piece of information. It’s especially useful for regular games I play in. I can take notes about opponents and review them before my next session. I especially like the Siri capability. Sometimes I step away from the table and either record a quick voice memo, or talk into the notepad whose incredible technology records every word I speak. That way I can get info down fast and jump back in the game! Tally Counter: On rare occasions, I use this app to tabulate how many hands I play per hour, my VPIP and anything else I want to quantify at the table. I find it useful for holding me accountable. Think you’re playing too loose at the poker table? The simple act of downloading the app and tabulating every time you voluntarily put money into the pot will keep you from being too loose. Simple but effective. Try it! If you liked this style of content, I have another free video that you’re going to love. In it, I share the biggest mistake that poker players make on a daily basis. 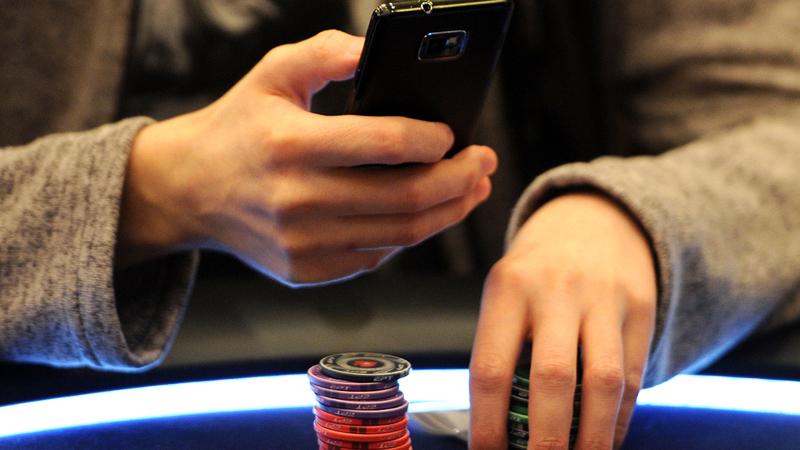 If there’s one piece of advice I could give the average player to win more money at the table immediately, it would be to implement the strategy I’m about to share with you. Check out this quick video to discover the biggest mistake poker players make, and learn a simple strategy you could use right now to ensure it never happens to you! I know your time is valuable, and your email is sacred, so you have my word that I will never send you spam things that I don’t believe will help your game. Cool, Am only using sniper for now… thanks for this! Awesome Mike glad you found it useful!